The area known as Five Points is approximately seven miles southeast of Indianapolis’s Monument Circle. The name “Five Points” was derived from the convergence of three early roads that today are known as Troy Avenue, Southeastern Avenue, and Five Points Road. 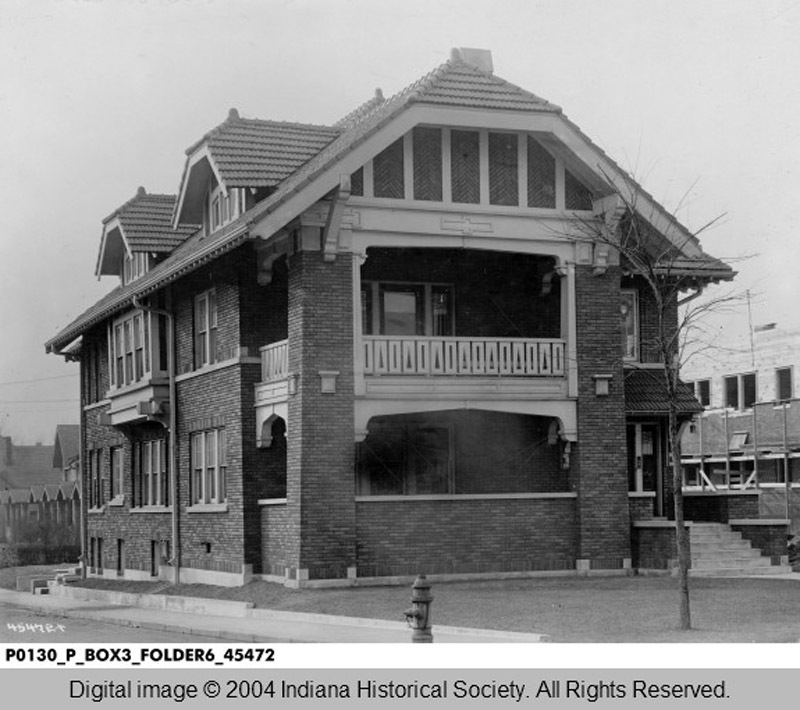 The location that would eventually be called Five Points was originally part of four different contiguous parcels of land purchased from the federal government within a decade after Indianapolis was chosen as the state capitol. Two parcels north of Troy Avenue were purchased by John Vandeman in 1828. One parcel south of Troy Avenue and east of Five Points Road was purchased by John James Bellis in 1828. One parcel south of Troy Avenue and west of Five Points Road was purchased by Thomas Bryan in 1830. Soon thereafter, John Bellis established Bellis’s Tavern near the intersection of the three roads. When the historic Michigan Road (later called US 421 and now known as Southeastern Avenue) was built, Bellis’s log home became a station for watering and changing horses. As traffic increased on the the road, Bellis built a larger house with guest quarters to accommodate overnight lodgers. In 1881, blacksmith Henry A. Waterman (1859-1936) built a shop on the Michigan Road on one of the points of the Five Points intersection. As his four sons — Theodore, Harry, Clarence, and Edwin — grew to adulthood and developed interests in welding, fencing, plumbing, and automobile repair, Waterman expanded the business to include a hardware department, a farm machinery repair shop, and an automotive garage. Generations of the family have continued to operate the company. 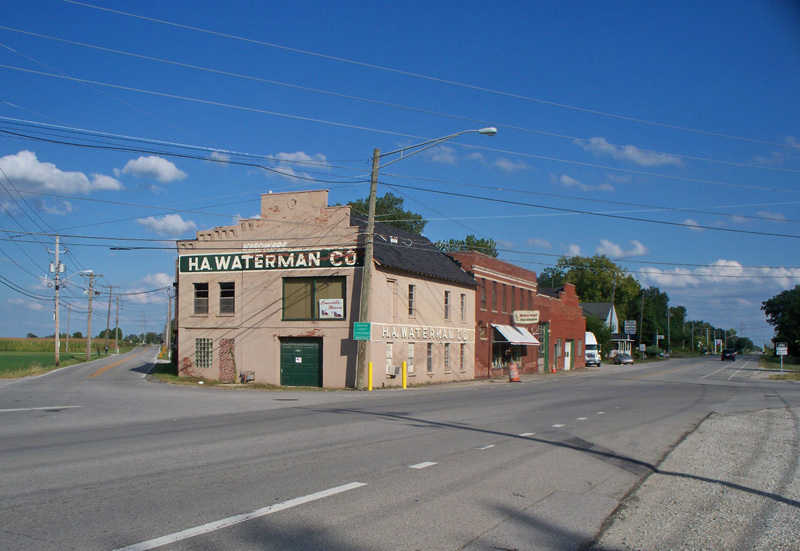 Now in its 132nd year, H. A. Waterman Co. is one of Indianapolis’s oldest businesses. Since Five Points was never officially organized as a separate town, nor did the people in the Five Points area ever seek their own post office, Five Points was simply a name locals used to refer to the settlement at that corner. 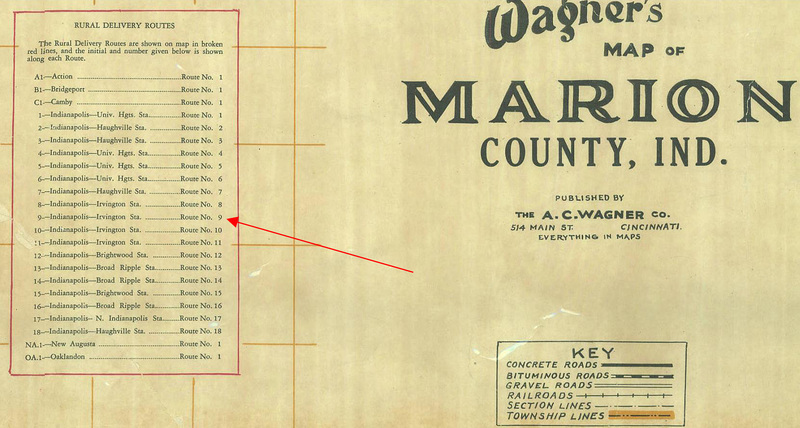 A 1931 map of Marion County provides a partial answer to the HI Mailbag question. 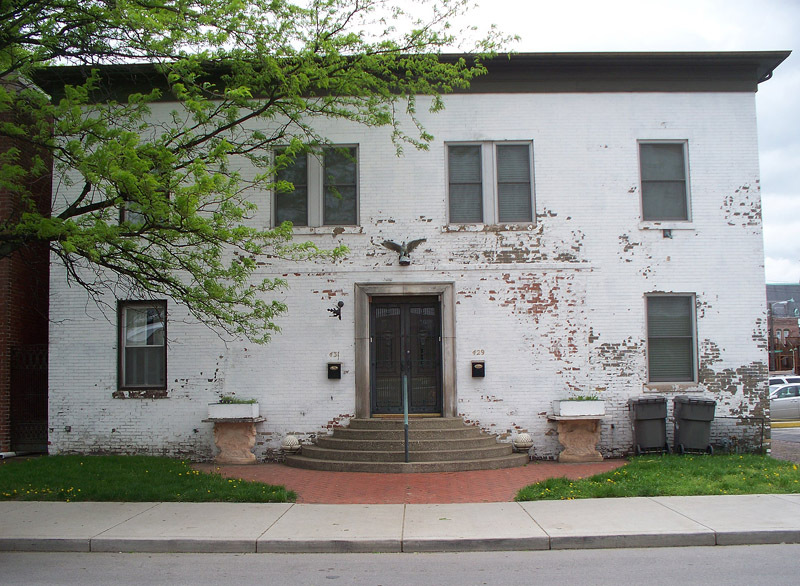 In years past, the areas of Marion County outside the old city limits of Indianapolis that did not have their own post offices were served by post offices inside the city limits. The rural areas were assigned route numbers. Five Points was one of many neighborhoods on Rural Delivery Route 9, which was abbreviated R. R. 9. 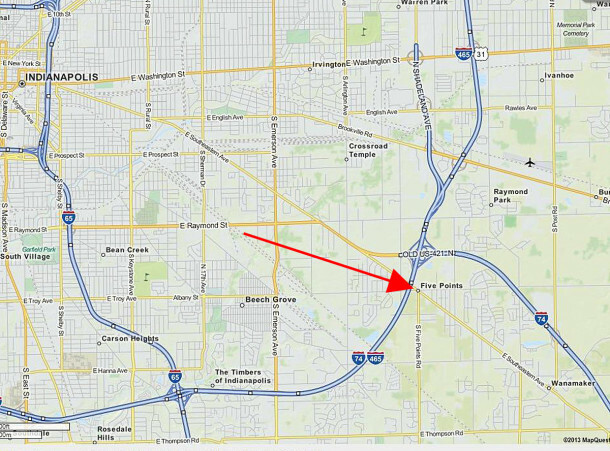 Irregularly shaped, R. R. 9 extended north of Prospect Street, east to the Marion County-Hancock County line, south to Hanna Avenue, and west to Sherman Drive. U. S. Mail was delivered to Rural Delivery Route 9 out of the Irvington Post Office at 5 Johnson Avenue. 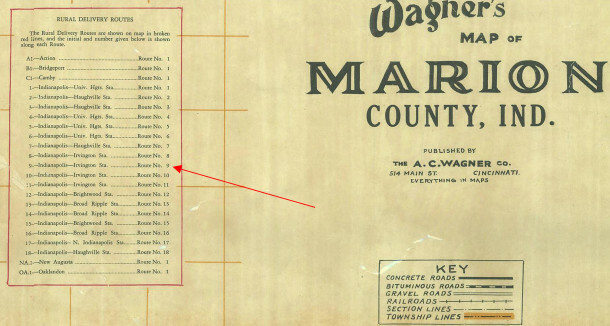 Below are sections cropped from the 1931 A. C. Wagner Co. map. 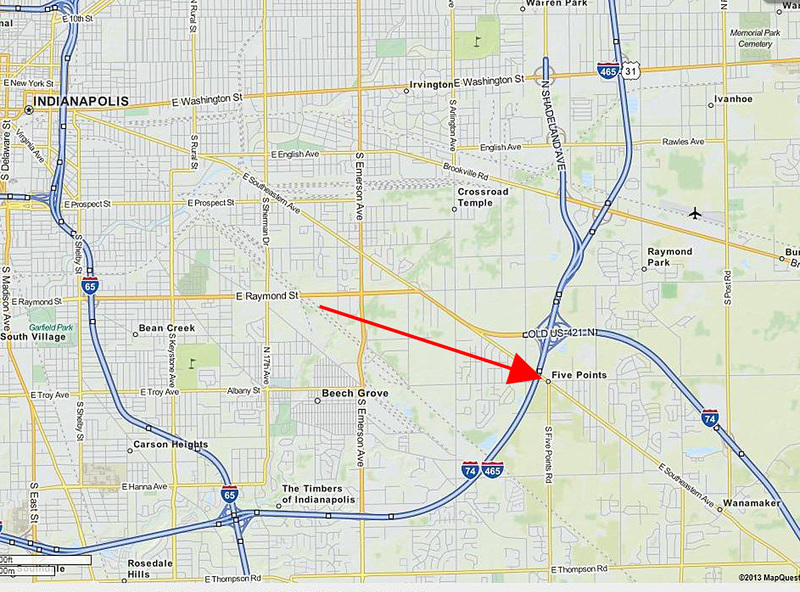 To view the map in its entirety, visit the Indiana State Library website here. In order to pinpoint exactly where a property was on R. R. 9 in Five Points, a box number is needed. 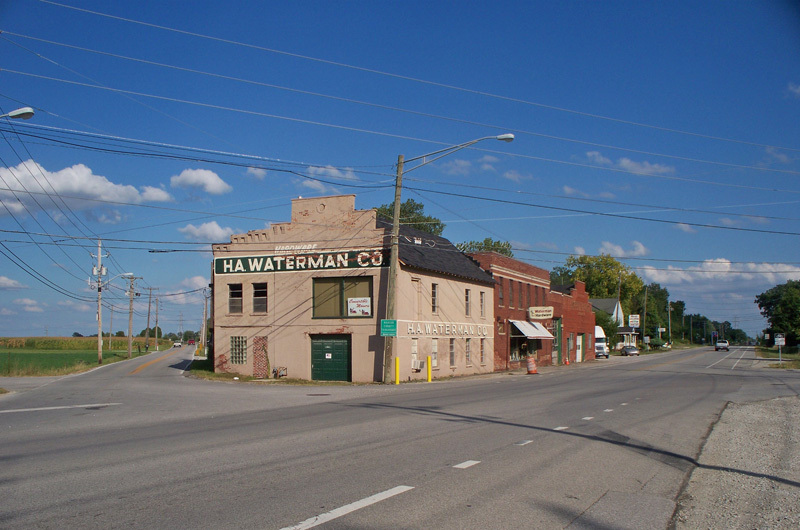 For example, before the H. A. Waterman Co. was given the current street address of 7006 Southeastern Avenue, its former address was R. R. 9, Box 206, Five Points. 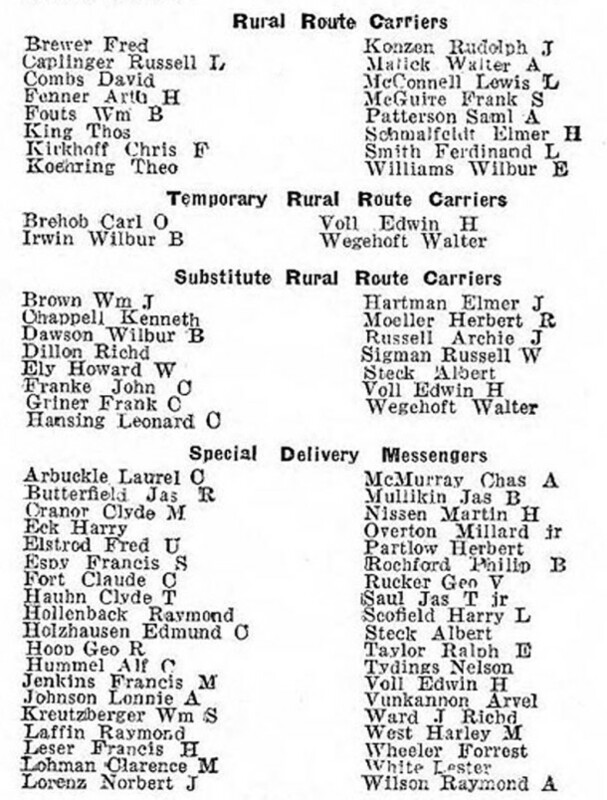 Donald Waterman, grandson of the company’s founder, recalls that the change from rural route to a street address occurred in the mid-1950s. If I remember right, Five Points, Wanamaker, and New Bethel were either located at the same location, or were adjacent communities, or Wanamaker and New Bethel were the same place; I admit, I’m not sure; we had friends “out there” when i was in grade school and junior high school. Bethel, New Bethel, and Wanamaker are all names for the same town. The town was originally called Bethel. When the town wanted to establish its own post office in the 1880s, there was already another town named Bethel in Indiana, so they renamed it New Bethel. At the time the New Bethel post office was established, the Postmaster General of the USPS was named Wanamaker. Some people wanted to rename the town Wanamaker, so it was alternatively called New Bethel and Wanamaker for many years. It wasn’t officially changed to Wanamaker until the 1960s! Wanamaker was annexed to the City of Indianapolis in 1970, as a result of Uni-Gov. Five Points is not the same as Bethel, New Bethel, or Wanamaker. It is located right on the line between Warren Township and Franklin Township, whereas Wanamaker is about two miles further out from town. Five Points never attempted to incorporate and never had its own post office, as did Bethel/New Bethel/Wanamaker, which is why Five Points was on a rural delivery route. 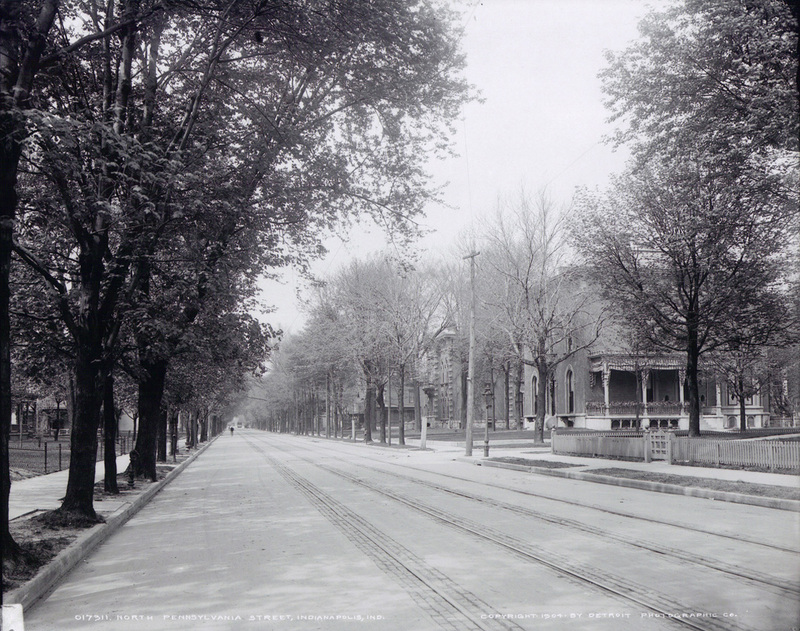 However, Five Points and Wanamaker were both on the same historic Michigan Road, now known as Southeastern Avenue. The Waterman building stands on the property that my great-great-great-great grandfather Jacob Glazier owned at one time. 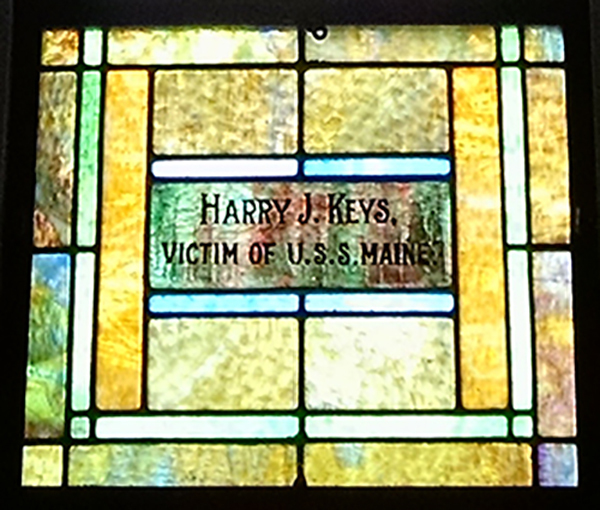 My research indicates that he lived got this property around 1837 or 1838 and then died in 1850 and the property was put up for aution in late 1850. This is so fascinating. Jacob Glazier was the father of Daniel Glazier, the first firefighter killed in the line of duty in Indy in 1873.